If you’re a flea market fanatic, like me, you know these are a dime a dozen. But, this one just caught my eye and I had to move it from the garage to the house. Maybe Mrs. Abel and I were kindred spirits in a former life. Maybe we traveled on the Titanic together? 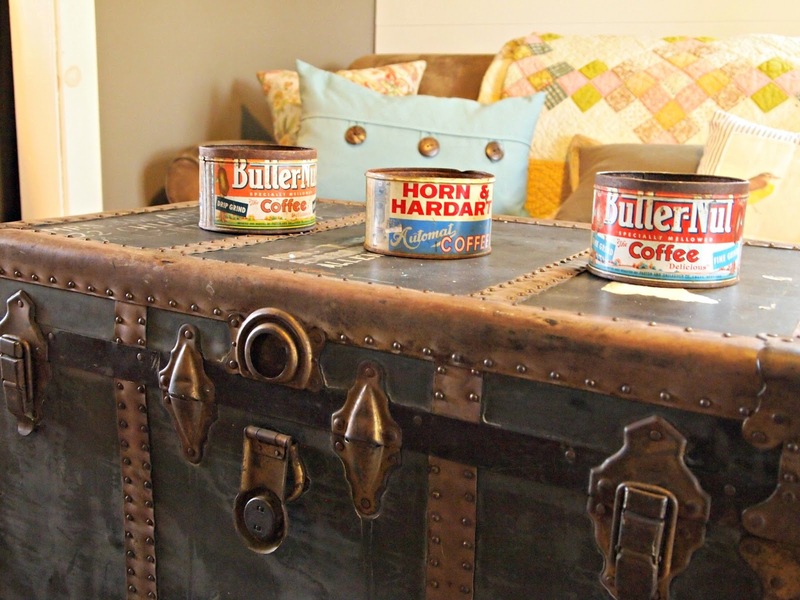 I especially love the leather handles that are still in tact. And, the dark, almost black color of the body. 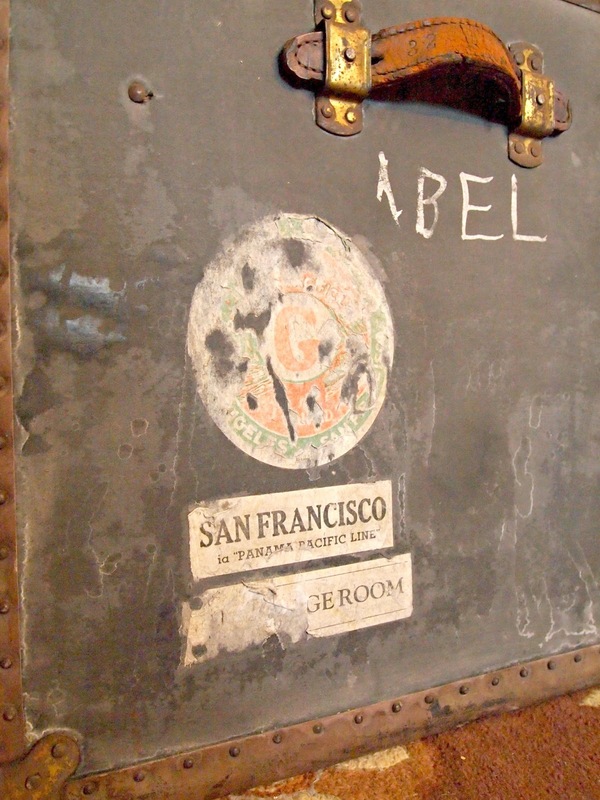 But, the best part of Mrs. Abel’s trunk is the travel stickers attached to the side. It feels right at home in the den (for now). My sister and I both have a "thing" for trunks. She has several camelback ones which I really have been so tempted to sneak out of her house! I love that you have intact leather handles. So often they are either torn or in such bad shape that they disintegrate when you touch them. 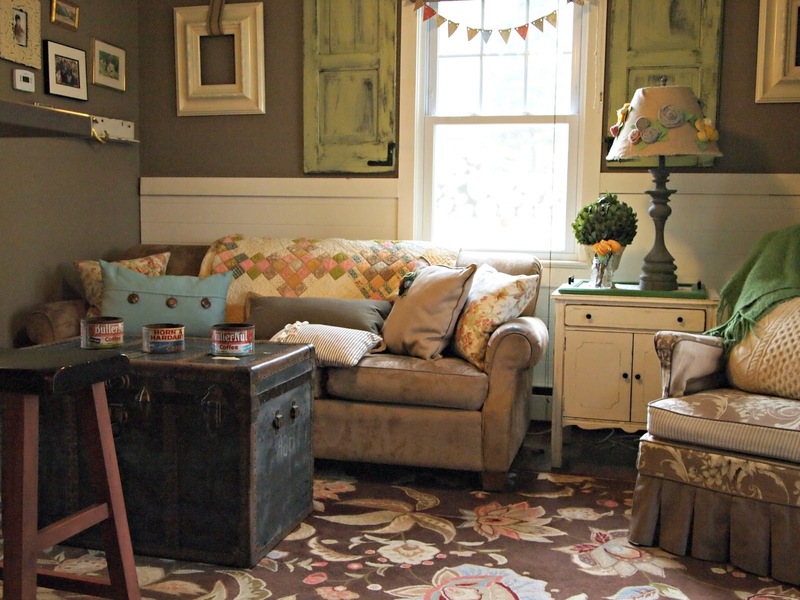 It looks great in your family room! I have 2 trunks…I would have more, I just need another house! One is an old camelback…and the other is my father in laws army trunk. 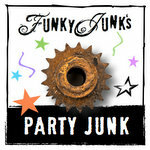 My hubs found a metal one at an estate sale today, but we talked ourselves out of it! 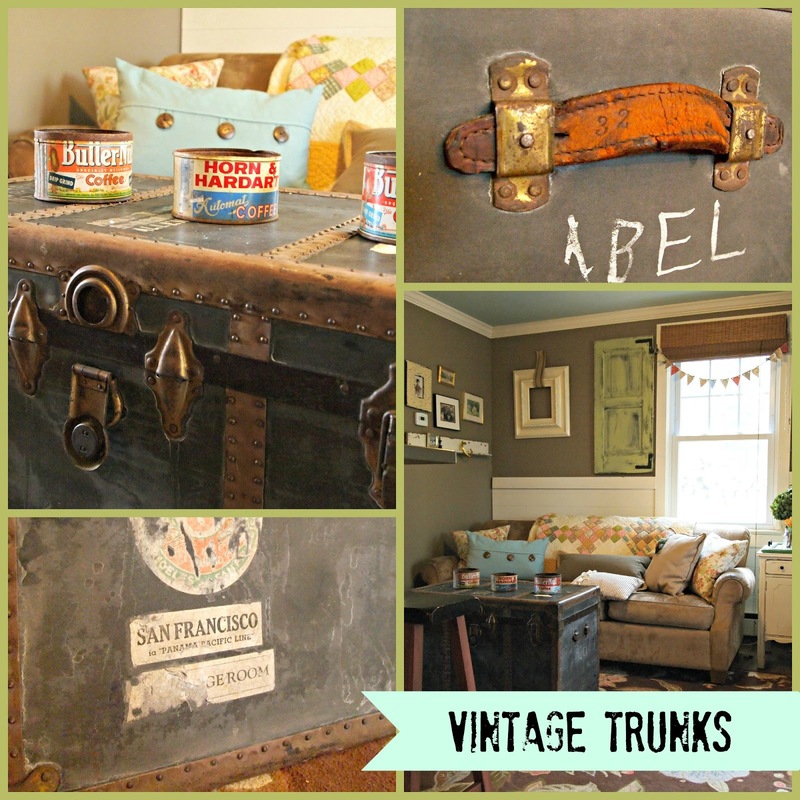 I have 3 trunks and would love more, but I would also need to buy a bigger house! If they could talk think of all the history they have seen. I use them as TV stands, plant stands and they hold games that our kids don't play anymore. My mom used to have one that she used in the 50's to travel to Europe, Mexico, etc. She gave it to my (former = isn't that always the case?) sister-in-law. My mom even regrets giving it to her. 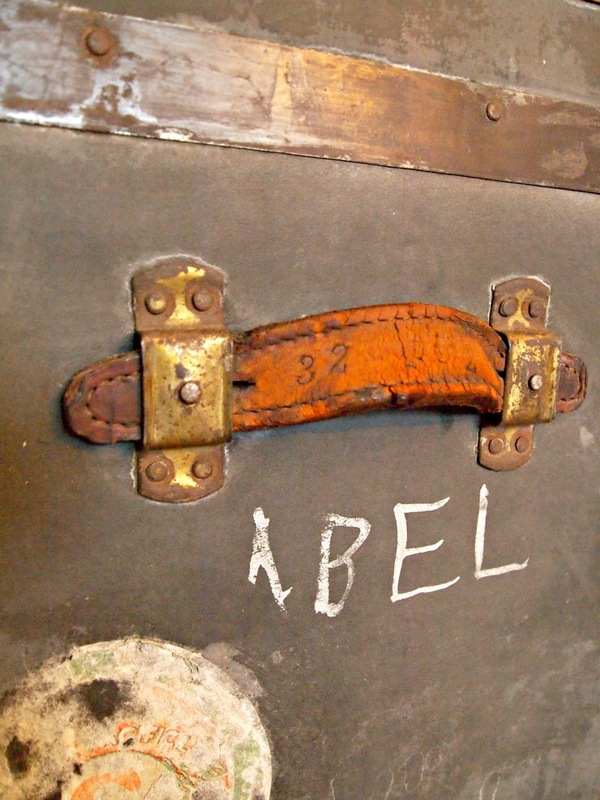 Your trunk is a beauty – so much history and character! 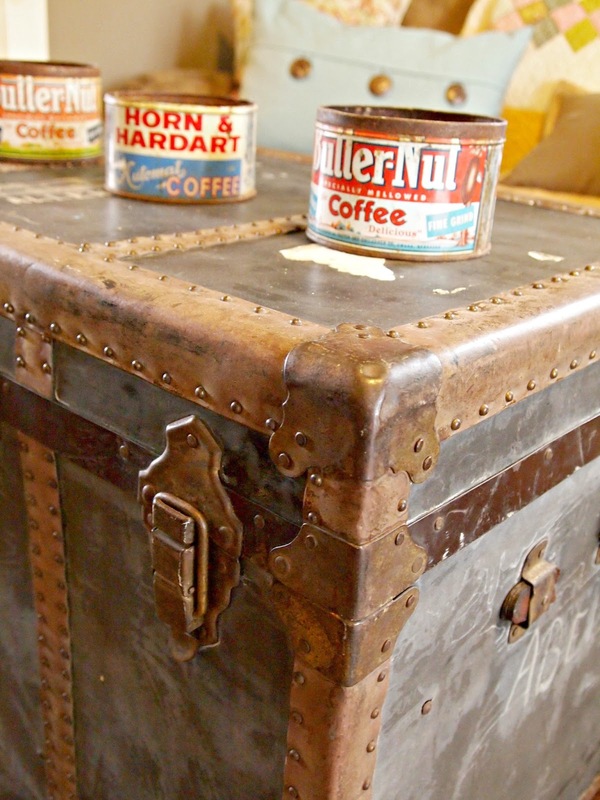 Oh my…now you got me going… I have 2 of these old trunks. 1 has the little baby clothes tucked away in the basement. The other has all the dance recital costumes from yesteryears up in the attic. Hmmm…what to do, what to do??? Dare I drag one out to put in the living room for a coffee table? YES! Here I go! Watch me now!